Ski Resort Mariánské Lázně is situated at an altitude of 648-720 meters above sea level. Thanks to its altitude, great skiing conditions are ensured throughout the winter time. There are two lifts and one chairlift. 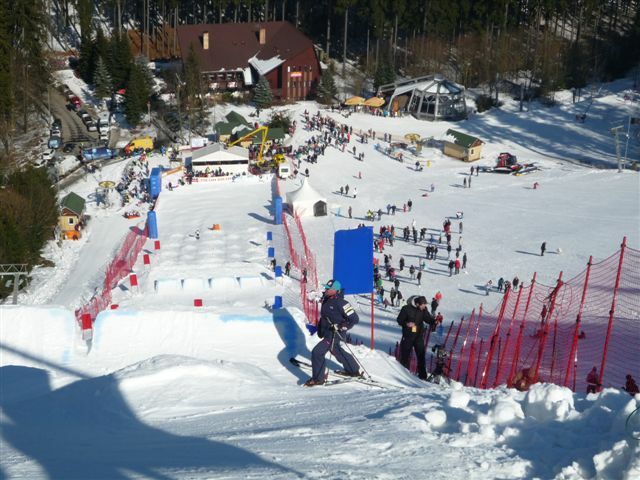 The length of downhill runs is 1600 meters. The resort is open for day and evening skiing. 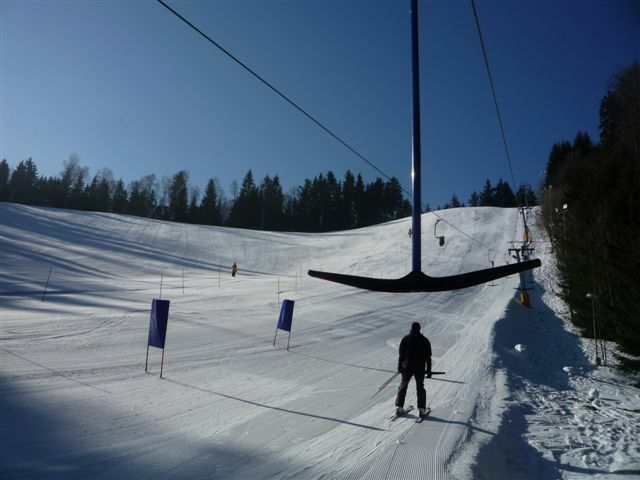 Downhill runs are daily adjusted and the entire resort is equipped with a snow system. Visitors have a choice of time tickets from half-day, daily to multi-day, including special discounts for groups and ski lessons. There is a new modern children's park, ski equipment rental, ski school and kindergarten. If you´re tired and wanna have a rest, you can refresh yourself, take a coffee or some snack in the local bistro, directly in Ski areal. If you come by car, you can park it for free, in the areal. Besides a lot of competitions held there. Many visitors looking forward to such a great events. Prices, detailed information, and more HERE. © Copyright 2019 Boheminium | Created by VIDIA-DESIGN s.r.o.